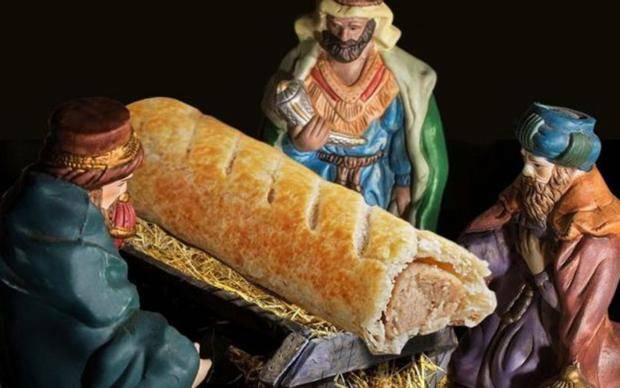 I was pondering over the disasterous Greggs Christmas campaign where they replaced Jesus in a nativity scene with a sausage roll. I was quite taken with the range of outrage to what was at worse a poor call of judgment. On one hand right wing groups are calling for a boycott because they are, of course, the moral guardians of all. After all if I proposed the more offensive pastry offering in the cross-shaped multi-cheese filled lattice called the ‘Cheeses Crust’ I imagine the guardians melting their outboxes in frenzy. The Drum.com rightly point out the value of parody in advertising. If we can make you laugh then we’ve envoked a memory response. The value thereafter is the after dinner recollection of the funny ad you saw today – advert job accomplished. The painful thing about all this is the lack of Christian charity that is ‘forgiveness’. Modern media seems hell-bent on a hysteria that borders on the pathological. Let’s not forget to err is human and that is one of the most important things that separates us from the rest of the animal kingdom. Greggs have apologised so no need for Boycotts or plaquard carrying. Oops, now carry on. The remarkable thing has been the counter PR has skyrocketed this story into the stratosphere. 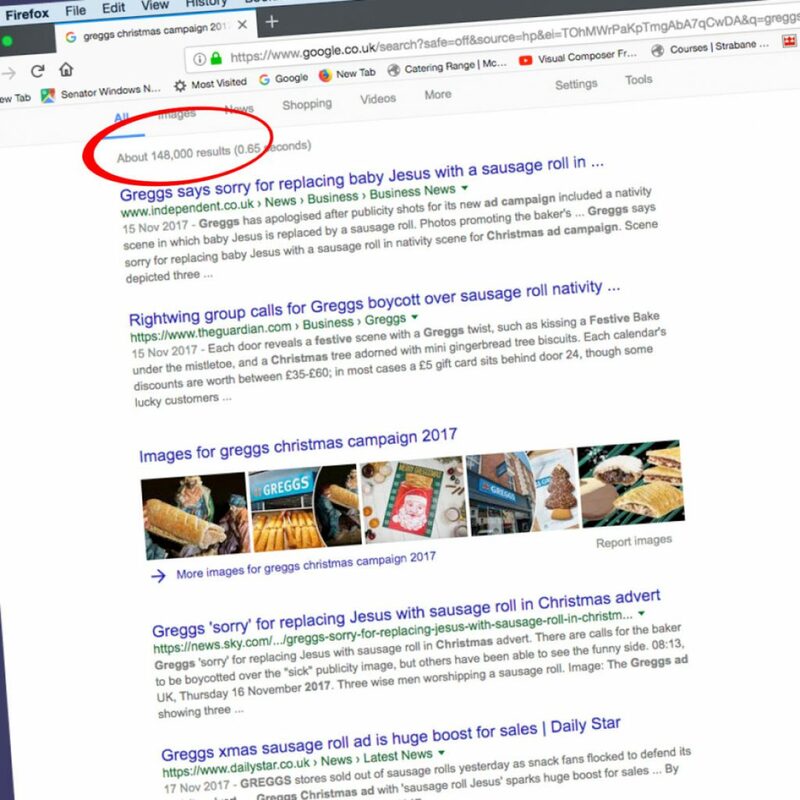 How wrong was the campaign (in where no babies, puppies or kittens were harmed) that garnered 148,000 results on a Google search for ‘Greggs Christmas campaign 2017’ on Jan 2nd 2018?